Hotel Villa Honegg with a fairytale view overlooking Lake Lucerne. Each room boasts a private balcony with views of the surrounding alps and lake; the interior is warm and inviting with a rich brown-gold colour palette, plush bedding and elegant furniture, stylish bathrooms sprinkled with Hermès products, top-line entertainment systems, free wi-fi and a Nespresso coffee machine. The pièce de résistance of this stunning abode is the heated outdoor swimming pool. 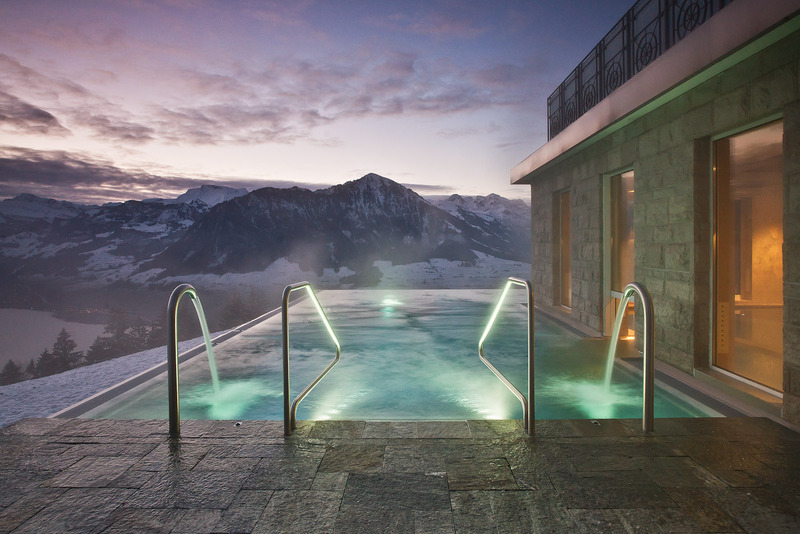 Ski accommodation doesn’t come much better than this little treasure; Hotel Villa Honegg in Lake Lucerne, Switzerland. Top-quality time trackers and tennis players might slip down the line of Swiss icons, thanks to this absurdly attractive hotel nestled neatly above Lake Lucerne in the Swiss Alps. Conceived in 1905, the five-star Hotel Villa Honegg has survived years of wild weather and world wars, but after undergoing extensive – and supremely lavish – refurbishments in 2011, it now commands its incomparable post 914 metres above sea level. Each room boasts a private balcony with views of the surrounding alps and lake; the interior is warm and inviting with a rich brown-gold colour palette, plush bedding and elegant furniture, stylish bathrooms sprinkled with Hermès products, top-line entertainment systems, free wi-fi and a Nespresso coffee machine (minus George Clooney, though the eye candy outside your window is equally as appealing). The cosy restaurant serves a menu that changes seasonally and is based on locally sourced produce. On sunny days, you can enjoy the fine fare on the terrace while gazing at the snow-capped mountains (or daisy-filled fields in warmer seasons) keeping snug in the blankets provided. But the pièce de résistance of this stunning abode is the heated outdoor swimming pool. 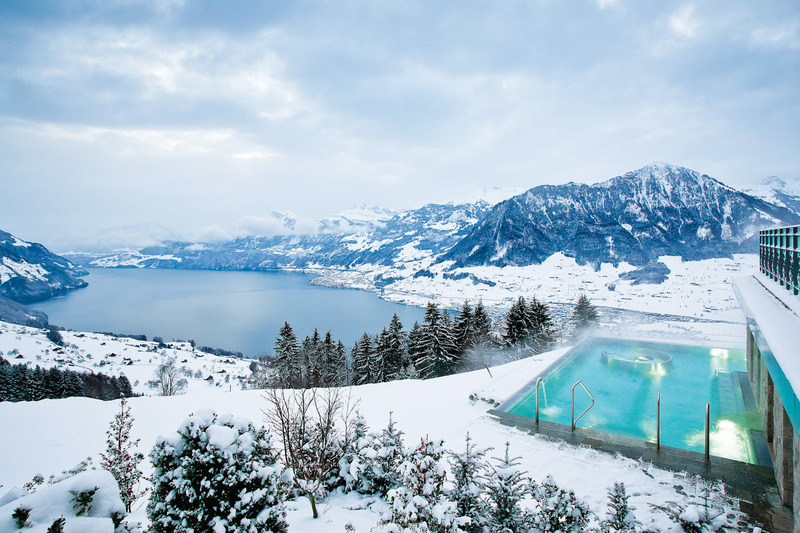 After you’ve consumed your weight in hot chocolate, or indulged in a sublime spa treatment, we suggest sinking into the pool and taking in this fairytale view of Lake Lucerne; it will provide the ultimate exclamation point after all this luxury. 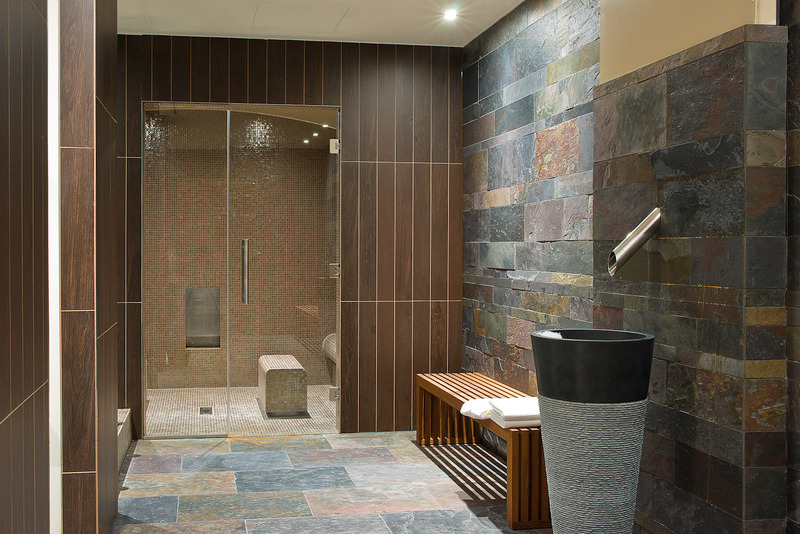 Classic rooms start from $667 a night. 48 hours in Shanghai and more!